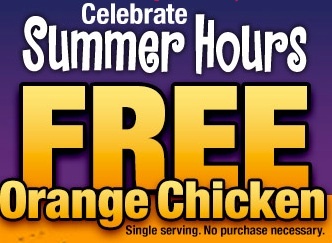 FREE Orange Chicken at Panda Express Friday -Summer Kickoff! I think we can all agree that the best thing at Panda Express is the Orange Chicken. This Friday, June 21st, you can get FREE Orange chicken at Panda Express! “Like” Panda Express on Facebook to get a coupon for some FREE Orange Chicken …NO PURCHASE NECESSARY! 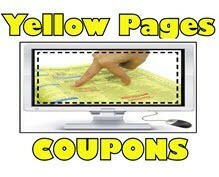 or SIGN UP BELOW if you don’t have a Facebook account – NO COST OR OBLICATION – and we’ll send you the ’email link’ picture to show them for your FREE Orange Chicken at Panda Express (plus 21 MORE FREE GIFTS) just for signing up with Yellow Pages Coupons!